Enter for your chance to win a pass good for two! 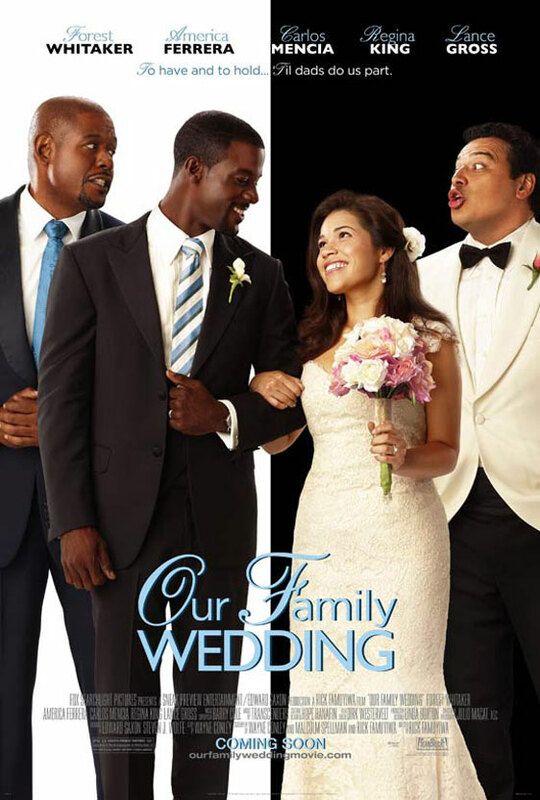 Chaos ensues when a young, African-American medical resident proposes marriage to his Latina girlfriend, who happens to be pregnant with his child, and both families argue over wedding plans. In order to enter the contest, go to my.reviewstl.com and register for a free account. Leave a comment on the contest page telling us about the best or worst wedding you’ve ever been to. Winners will be chosen at random and notified via e-mail. NO PURCHASE NECESSARY. PLEASE REMEMBER TO READ THE RULES, PEOPLE WHO FOLLOW THE RULES WILL BE PICKED FIRST! Screening is Thursday, March 11 at AMC Creve Coeur. Please note that winning passes to “Our Family Wedding” does not guarantee admission to the film. You must arrive early as seating is first-come, first-served. It is usually safe to arrive at least 1 hour or more before show time.